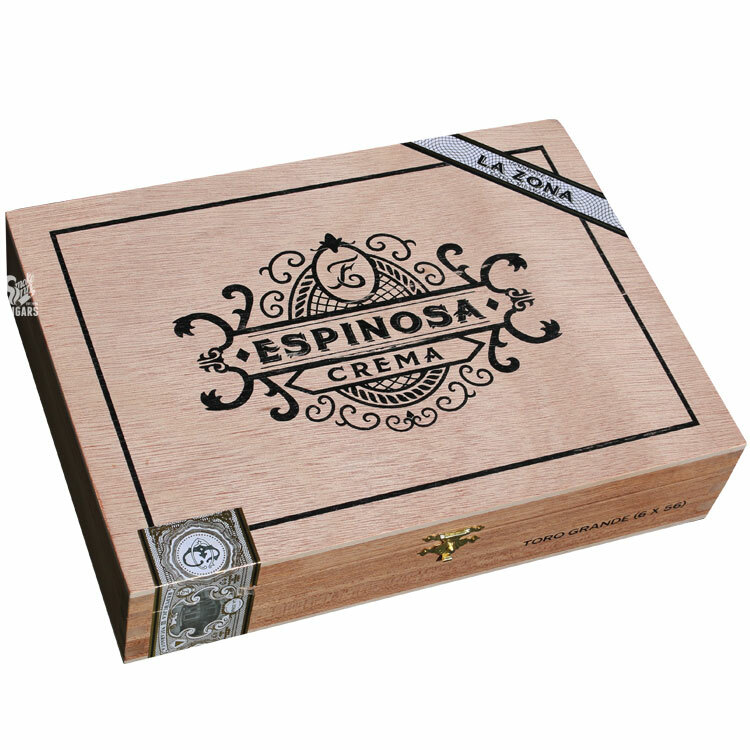 Espinosa Premium Cigars debuted in 2012 with the award-winning Espinosa Habano. Since then, Espinosa has carefully evolved its core lineup. In 2015, a maduro was introduced with the Espinosa Especial and, along with it, a modernized, clean look for the full line. But the core of Espinosa’s premium offerings was not yet complete. Smokers have long enjoyed the full and powerful smoking experiences by Espinosa, but the brand was lacking in options on the smooth, creamy, and mellow fronts (i.e. a premium Connecticut). Espinosa Crema fills the gap - the cigar’s name is Spanish for “cream”, and that’s exactly what you’ll find in this pleasant smoking experience. Of course, in classic Espinosa fashion, this ain’t your “ultra mild” Connecticut Shade blend you dad grew up with… No, Espinosa has taken the mild and given it their signature punch of undeniable flavor! So, while this makes for the perfect brunch or early afternoon smoke, don’t be surprised when this creamy treat outshines your light-hearted beverage and/or lunch pairings.